59 Park Place Apt 4. 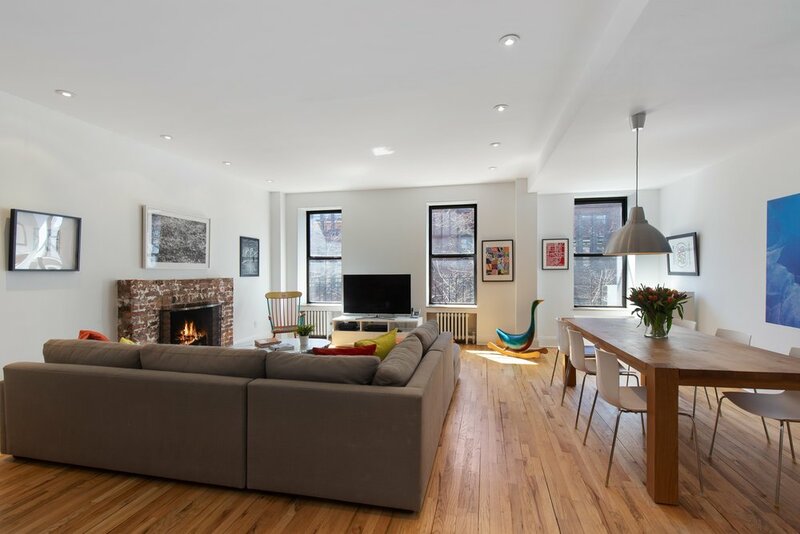 On beautiful tree-lined Park Place, on the third floor of a well-maintained brownstone coop, this spacious, 1750 square foot, three-bedroom, two-bath North Slope home leaves nothing to be desired! The enormous living room and dining area have three oversized, south-facing windows bringing in gorgeous light all day long. 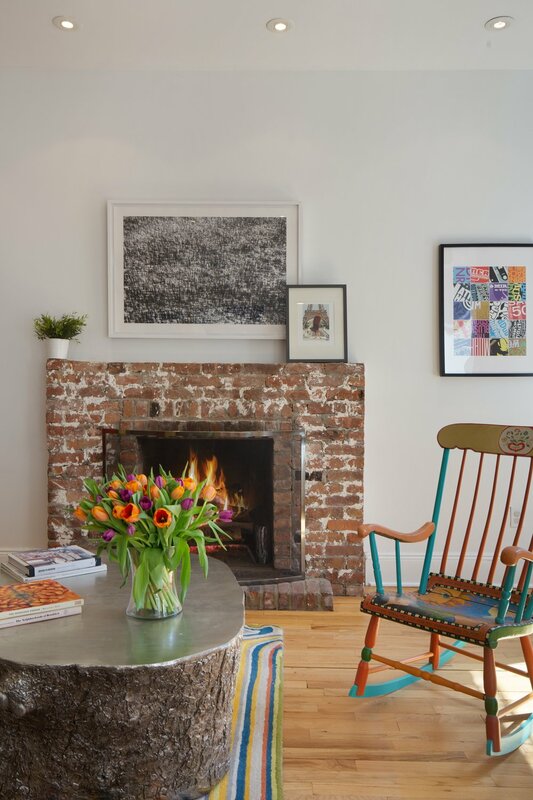 The woodburning fireplace is wonderful for chilly winter evenings, while the open kitchen and huge living space are fantastic for entertaining. 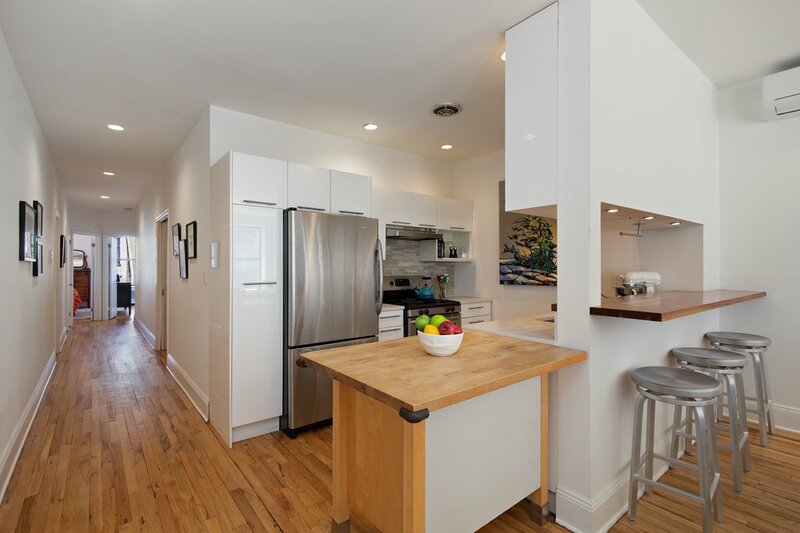 The renovated kitchen has modern white cabinetry, stainless steel appliances, a glass-tile backsplash and Caesarstone counters. Separate from the living area, down the hall, are the three, well-proportioned bedrooms. The king-sized master bedroom is incredibly serene, overlooking the gardens below, and boasts a renovated, en-suite marble bath and a deep walk-in closet. All of the bedrooms offer great closet and storage space above. The main bath is also updated and adjacent to the stackable, vented washer/dryer. 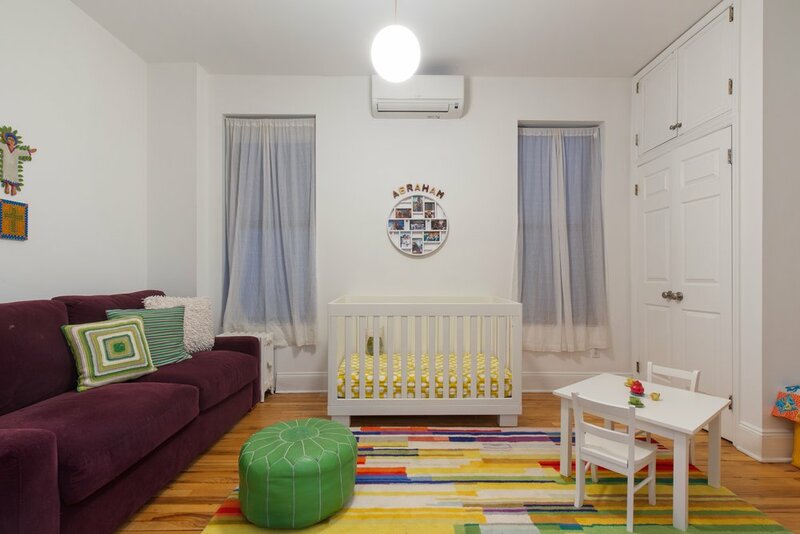 Split system, ductless AC units, hardwood floors and high ceilings can be found throughout the apartment. 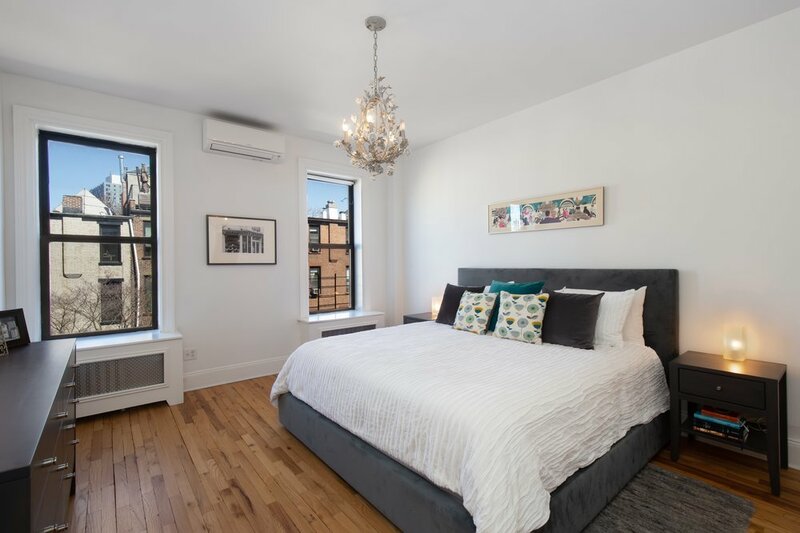 To top it all, the large common ROOF DECK (shared by only three units) is only two flights up and offers a roomy area to enjoy summer dining, a slice of the outdoors, and views for miles, including wonderful views of lower Manhattan.